Finally iPhone 5 is out there in our hands, and people are coming up with all of their views and opinion that the much awaited and talked about new gadget has to offer. The iPhone 5 will surprise you in many ways some of the Top 5 can be the following ways. Shaving about an ounce off a phone's heft doesn't sound like a lot, and I've always been skeptical of incremental reductions (20 percent lighter! ), but the first thing that shocked me when I picked up the iPhone 5 was how light it was, not how thin it was. There's a reason for this: many smartphones boast large screens and sleek looks, but few weigh as little as 3.95 ounces. Most other iPhones weigh about the same, so it feels different immediately. Whenever you hear that an app is beautiful to behold, especially an app as integral to the use of the iPhone as Maps, it can't help but feel superfluous. Still, try to look at Maps on an iPhone 5 and not feel wowed. Right now, it's the best graphics demo the iPhone 5 has in its stable, and Flyovers feel intensely surreal, even if you're a Google Earth addict. Whether the graphical finesse of the new Maps and turn-by-turn navigation can make up for the lack of more-refined Google search terms, Street View, and public transit directions feels like a dicey proposition, but Maps is undeniably fun to play with. In particular, I'm talking about LTE. I'm not a 4G LTE user at home, and I never thought I'd need it in a phone. Still, the wake-up moment for me was when I opted for FaceTime over LTE instead of Wi-Fi because LTE was more than twice as fast as my home broadband wireless connection, and the connection was smoother. It's a seductive draw: would I end up paying through the nose for LTE for its snappy convenience? I've used it far more than I ever thought I would, at least on the review unit. The A6 processor's harder to appreciate right off the bat, but both combined give this iPhone a serious turbo kick. For years, I've wondered when iOS devices would sync via Apple's incredibly fast Thunderbolt port. A new, smaller connector seemed like the ideal opportunity. Then came the name: Lightning. Lightning and Thunderbolt. Yet, the packed-in Lightning cable works via USB. The door could still be open for Thunderbolt (or USB 3.0) in the future. 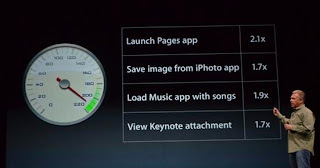 Does faster syncing matter? To me, it does. There's no Big Thing on the iPhone 5, but, try to name a part of the phone that hasn't changed. Usually, iPhones keep at least one or two things intact from one year to the next. This year: design, screen, speakers, microphones, cameras, data connection, even connector port and earphones were toyed with. Instead of investing in one game-changer, the iPhone 5's a top-to-bottom tune-up that makes me wonder, just a little bit, what Apple could do to top it next year. A spyware program generally installs itself on your computer without your consent. This program slows your computer and reduces the system memory. Spyware also infects computer through malicious email attachments or pop-up links(see:How does spyware affect your computer?). To remove a spyware from your computer, follow the manual removal process. Step1: Uninstall unwanted software from your computer and install spyware detection and removal software. Step2: You can also remove spyware using Windows Defender. Click the "down arrow" next to Scan and select Full Scan. It will automatically remove any spyware that it detects. Step3: Delete all temporary files and folders from your computer. And also clean the Recycle Bin. Step4: If your computer is connected to the Internet then disconnect it and reboot your computer in safe mode. Step5: Scan your computer using the anti-spyware software. It will remove infected programs or files. Step6: Clean registry where many installed programs store their settings.There will be spyware in the Registry on systems that are infected.You should run the Registry Editor, a program that lets you view and make changes to the Registry. Step7: If anti-spyware software cannot remove the spyware, format your hard drive and reinstall your operating system. This should be done only in the worst scenario. Conficker worm is a computer worm that affects the Windows operating system. A worm is similar to a virus, except that a worm can copy and spread itself without any human interaction. 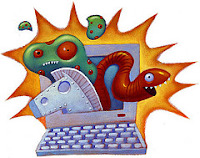 The Conficker worm has the ability to slow your computer and disable certain security software such as virus protection and firewall (see:How to Get Rid of Conficker Worm). Follow the given steps to check if your PC is infected with Conficker worm or not. Step1: Navigate to the Microsoft website and download the Malicious Software Removal Tool. This is a program that will scan your computer for the presence of viruses or malicious software and remove them. Step2: If your computer is not up-to-date with the latest security updates, then check the Automatic Update Service. And turn on Automatic update. Click Performance and Maintenance, click System, and then click the Automatic Updates tab. Click the option that you want. Make sure Automatic Updates is on. Step3: You can download free Microsoft Safety Scanner tool that provides on-demand scanning and helps remove viruses, spyware, and other malicious software (How to Fix a Virus-Infected Computer). It works with your existing antivirus software. Step4: Update antivirus software and run a full virus scan. Delete temporary files from the "Temp" folder. Search the folder for any files that end with the extension ".tmp" and contain a random series of letters and numbers; for example, "fiajdihndnu12142.tmp." Conficker worm files often have these characteristics. Many of your iPhone's features viz. emails, browsing etc. require an Internet connection. Your iPhone has an integrated Wi-Fi capability. When you need Wi-Fi Internet access, you can connect wherever free Wi-Fi access is available. Follow the given steps to connect your iPhone to the Internet. Step1: Connect your device to your current Wi-Fi network, tap Settings > Wi-Fi. Step2: Turn on your Wi-Fi network. It may be necessary to enter a password (Depending on the Wi-Fi network). 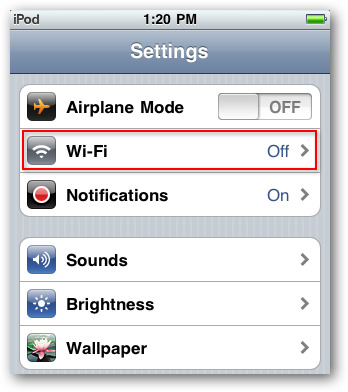 Step3: When it is connected to the network, the Wi-Fi icon displays the connection strength. Step4: Now you will see the correct settings viz. IP-Address, Default gateway, etc. 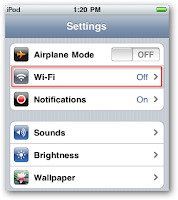 Step5: You can also disconnect the Internet connection from Settings tab and sliding the Wi-Fi button to OFF. A virus- or malware-infected PC can do everything from running slow to putting sensitive information on your computer at risk. Computers can get viruses in several different ways viz. via the Internet or an already infected external device. Follow the given steps to fix your infected computer. Step1: Find the process which is using maximum resources in your computer. Try to delete this process from DOS window. From Start menu->click Run-> Type cmd and press OK.
Step2: Type 'attrib/s -h -s -r 'file name’’ for displaying the attributes of the virus file. Hit Enter after typing the command. Now to delete the virus, type 'del drive name\'file name’. Step3: For example there is an Autorun.inf virus in your computer that you want to delete. You will type ‘attrib -s -h -r autorun.inf’ and hit Enter. Afterwards, you will type ‘del c:\autorun.inf’. This command assumes that the virus resides in the C:\ drive. You can change the drive letter accordingly. Step4: If antivirus is installed your computer then update it first and run a full virus scan on your computer. Step5: If antivirus is not installed then install one on your computer. Remove unwanted programs from Control panel. Step6: If the virus in your computer does not allow you to install the anti-virus, then restart the computer in safe mode. After successful booting of the system install the antivirus application in safe mode and then restart the computer in normal mode. Run the scanner and check for detection of virus. Windows 7 Fix virus is a fake anti-virus scanning tool made to look like a legitimate Windows program. It displays false information that your computer has a lot of critical problems with hard disks, memory, etc. The virus hides all of your files and folders on your computer. Step1: From the Start button, go to the search field and type %allusersprofile%. Press Enter. It will open contents of the “ProgramData” folder. Click Organize->select ”Folder and search options”->open View tab-> Select “Show hidden files and folders” option-> uncheck “Hide extensions for known file types”-> uncheck “Hide protected operating files”-> click OK.
Step3: If file names are displayed with a series of number or letter (e.g. 2636237623.exe or JtwSgJHkjkj.exe), then rename them (right click on it->Rename) with .exe extension. Step5: If your desktop is empty then you can set desktop content through: click Start-> type in Search field %UserProfile%\desktop-> hit Enter. It will open all contents of your desktop. Step6: You can also restart your computer in safe mode. Install any reliable anti-malware software and start scanning your computer to remove Windows 7 Fix infection(see:Free Antivirus Software 2012 Editions). 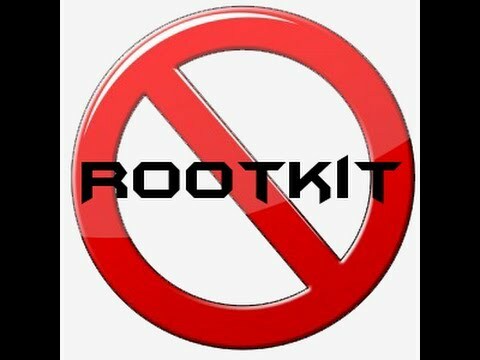 A rootkit virus is a software program that enables attackers to gain administrator access to a system. Some legitimate antivirus programs also use rootkit programs to counteract the actions of hackers. Follow the given steps to remove a rootkit virus manually. ***it is recommended that you back up your system before attempting to delete any rootkits. Step1: From the "Start" menu, go to “Run" box and type "msconfig". Click "OK". Step2: Go to the “Boot" tab and check the box “Boot Log". Step3: Click "Apply" and then restart your computer. Step4: Search for any files that start with the following names in all the folders and directories and remove them. The file names may be followed by some random alphabets. Step5: Go to My Computer> C:> WINDOWS> system32> drivers and note down the entire path of above mentioned file names. Now open the Command Prompt and disable file permission using CACLS command. For example, "cacls C:WINDOWSsystem32drivers rot.sys /d everyone" and hit Enter. This will disable the .rot file. Do this for every virus file that you made note of. When done, exit Command Prompt. Step6: Then restart your computer and search for every file that you made note of and delete them. To delete a file, simply right-click on it and select "Delete". Also clear the all temporary files from your system. Note: If the infected files are not deleted using manual method, you can run rootkit removal tools and scan your system. To get more help you can take online virus removal support from online.